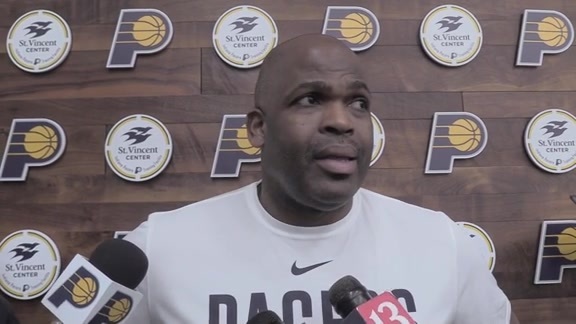 The playoff picture became a little clearer on Sunday night, as the Indiana Pacers dropped their second straight game, falling to the Brooklyn Nets at Bankers Life Fieldhouse, 108-96. 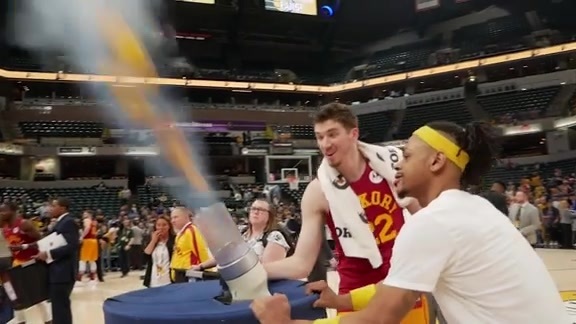 The loss locked the Pacers (47-34) into the fifth seed in the Eastern Conference. Indiana will begin the playoffs on the road next weekend in Boston. Meanwhile, the Nets (41-40) clinched a playoff berth with a win, sending Brooklyn back to the postseason for the first time since 2015. 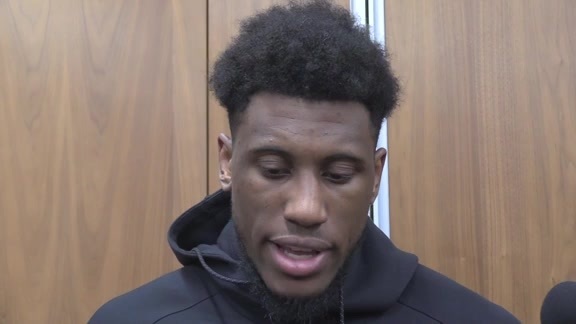 "We as a team have to get it together," Pacers co-captain Thaddeus Young said after the loss. "The playoffs are coming faster than expected. At the end of the day, we have to be ready at all costs." The Nets hit their first four shots on Sunday, racing out to an early 9-0 lead. But the Pacers came right back with a 12-2 run — capped by back-to-back 3-pointers by Myles Turner — to move in front. The two teams traded the lead a handful of times over the remainder of the first quarter before Brooklyn closed the frame with a 14-7 surge to take a 31-25 lead into the second quarter. 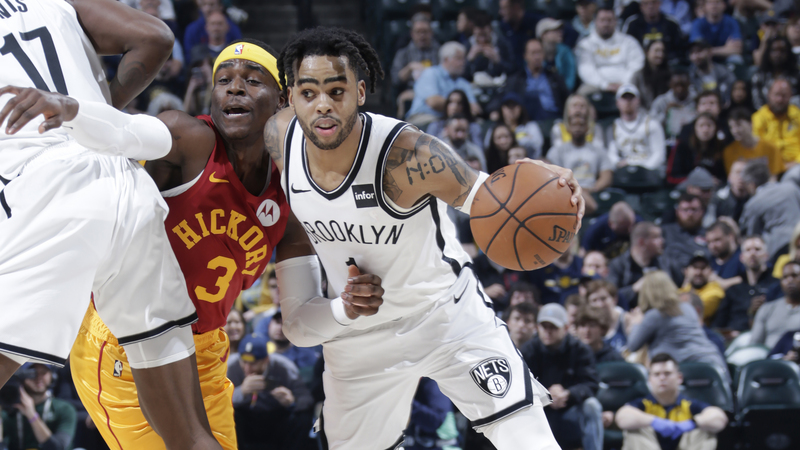 The Pacers briefly tied the game at 31, but the Nets retook the lead shortly thereafter and took their first double-digit lead of the night thanks to an 11-0 run midway through the second quarter that featured three 3-pointers by sharpshooter Joe Harris. The visitors led 52-44 at the intermission. Indiana lost a starter midway through the third quarter, as Turner rolled his ankle and exited the game with 7:43 left in the frame. He went into the locker room then reemerged on the bench later in the frame with ice on his ankle. He did not reenter the game. Young scored 10 points in the first 6:19 of the third quarter, but the Pacers were unable to erase the Nets' lead. The visitors closed the frame with seven unanswered points to take an 82-69 lead into the fourth. Brooklyn extended its lead to 17 points four minutes into the final frame. The Pacers rallied once more, with Domantas Sabonis' dunk making it a 95-85 game with 5:28 remaining, but that would be the closest they would get, as the Nets used a 10-2 run to seal the victory. 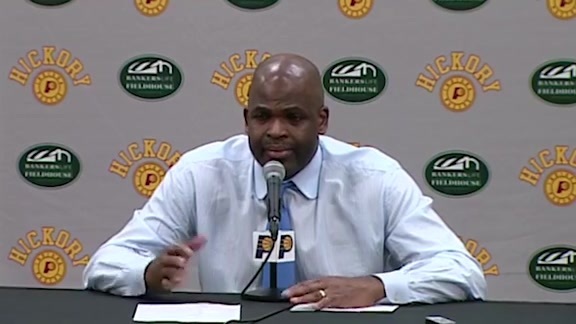 "We never controlled the speed of the game," Pacers head coach Nate McMillan said. "They got to their tempo and we really couldn’t stop them." Sabonis led Indiana with 17 points on 8-of-12 shooting, 12 rebounds, and three assists in the loss. Young added 16 points on 8-of-10 shooting and four assists, while Bojan Bogdanovic added 13 points and four boards. Cory Joseph joined them in double figures, finishing with 12 points, three rebounds, and four assists. D'Angelo Russell led all scorers with 20 points and also tallied six rebounds and six assists. Harris added 19 points on 7-of-11 shooting, while Caris LeVert finished with 18 points and five rebounds. The Pacers will close out the regular season on Wednesday night in Atlanta. They will open the playoffs on either Saturday or Sunday against the Celtics. Indiana enters the postseason struggling, having dropped 14 of its last 21 games against a difficult schedule. "I don't scare very easily, so I'm not concerned," guard Wesley Matthews said. "We've got to get it together. We've got a group of veterans, a group of guys that have been in situations going into the postseason. The biggest thing is health right now." Sabonis recorded his team-leading 30th double-double of the season in the loss. Starting point guard Darren Collison returned to the lineup on Sunday after missing the past three games with a groin injury. Collison struggled with his shot, going 2-for-12 from the field and 0-for-4 from 3-point range and finishing with four points, six assists, and two steals in just under 23 minutes. The Nets went 17-for-22 from the free throw line, while the Pacers attempted just seven fouls shots and hit just four, both of which were season lows. Before he left in third quarter, Turner added three blocked shots to his league-leading total. Brooklyn outscored Indiana 16-6 in second-chance points. The Nets outrebounded the Pacers 52-33 on Sunday, including a decisive 17-5 advantage on the offensive glass. The Nets snapped a nine-game losing streak against Indiana with Sunday's victory. Pacers reserve guard Tyreke Evans was inactive on Sunday due to a sore knee. Sunday's game was Fan Appreciation Night presented by IMCU. All the Pacers players stayed on the court after the game to sign autographs for fans in attendance. 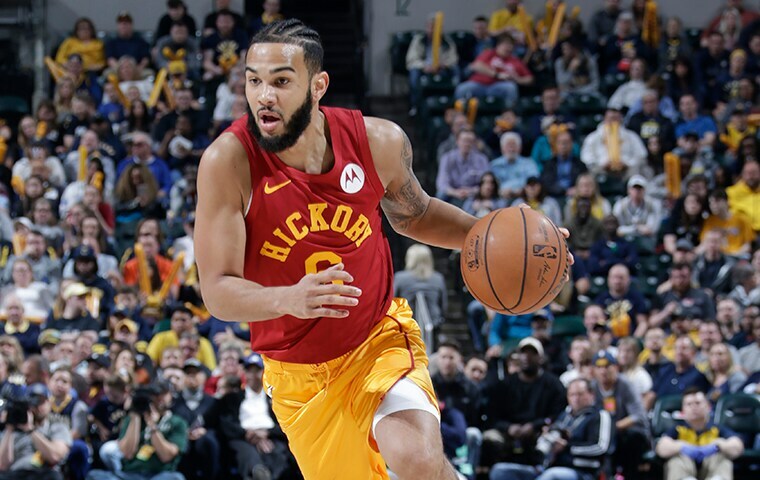 The Pacers wore their Hickory uniforms on Sunday and honored the eight 2018-19 IHSAA boys and girls basketball state champion teams at halftime.